The Adventures of Twizzle title card. The Adventures of Twizzle is a television show produced by AP Films, a company formed by Arthur Provis, Reg Hill, Sylvia Tamm, and Supermarionation artist Gerry Anderson, who would go on to create popular British science fiction shows as Thunderbirds, Captain Scarlet and Terrahawks. In total, 52 episodes were made and aired, with the first episode being broadcast on November 13, 1957 at 4:30pm. The series follows Twizzle (Nancy Nevinson), a boy puppet who has the ability to extend, or "twizzle", his legs and arms, and his cat companion known as "Footso". One day, while Twizzle is meeting new toys in his toy shop, a bad-tempered girl comes into the shop and wants to buy Twizzle. Frightened by the girl, he escapes from the toy shop after Teddy Bear suggests he runs away before she can buy him. He eventually makes his way to a dog kennel as the owner of the kennel, Footso the cat (Denise Bryer), enters. The two become fast friends and decide to go off on adventures after sleeping for the night. While on their adventures, they also create a haven for toys running away from abusive children called Stray Town. When AP Films initially formed, the company originally planned to make films but struggled to find commissions. 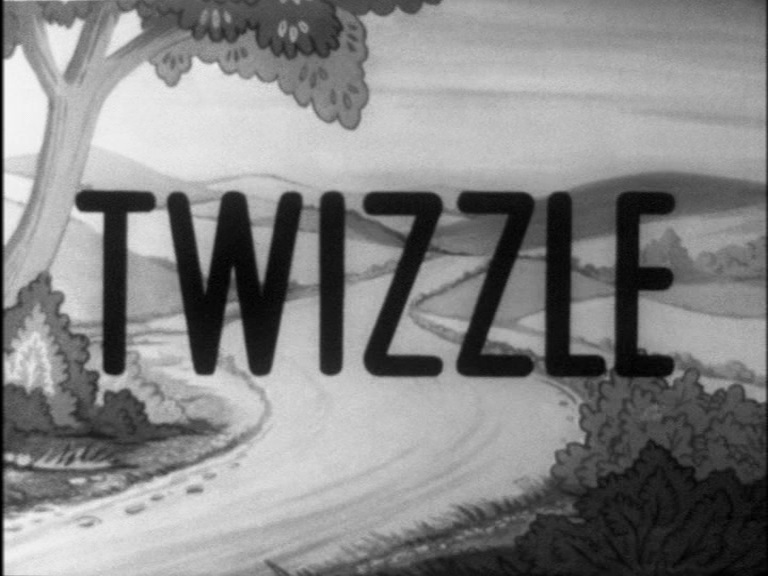 In 1957, Roberta Leigh and Suzanne Warner approached the company with the idea to make The Adventures of Twizzle, to which the company reluctantly agreed to do. Episodes were shot in a small room and the overall budget for the show was under £500. Additionally, the schedule was very tight, with the puppets themselves having their finishing touches on an actual shooting of the episode occurring on the same day, leaving little time to perfect the puppets. To enhance the show's quality, however, the crew implemented techniques from films that were rarely seen in puppet shows, such as background props and close-ups of the puppet's faces. Another technique that they applied was to have the puppeteers operate the puppets from an overhead bridge 12 feet above the set instead of them simply leaning over to see what they were doing, eliminating their shadows showing up in the shot. To help this, Anderson bought a lightweight camera that had just come on the market and rigged it onto the main camera to project what was happening anywhere on the set of the operators. This technique became known as "Video Assist" and was soon used in the entire film industry. The series, while using intricate puppetry, predates the first official Supermarionation series by Anderson, Four Feather Falls, by two years, though it's still classified as such by many. Much like Roberta Leigh's other puppet show, Sara & Hoppity, only the first episode has survived. A 16mm reel of the first episode was discovered with the entire 16mm reels of the complete series of Space Patrol in Roberta Leigh's possession. The pilot episode was included in the 2003 DVD release of Space Patrol.